There are underlying reasons why poverty strikes a nation - Muslims must help those in need as well as tackling the underlying reasons. There are underlying reasons why poverty strikes a nation – Muslims must help those in need as well as tackling the underlying reasons that lead to poverty. Islam recognizes that there are places on earth that are created too dry, or too hot, or very cold, icy and inhospitable, where it is not easy, and can be impossible for humans to live and function in large numbers. Likewise, Islam recognizes that there are lands which are fertile and rich that can support large communities of human beings. If people become complacent, ungrateful, sinful and disobedient or they disbelieve in Allah and His Revelation, He can remove the blessings He bestows upon them and strike them with calamities. Allah protects and give bounty to a nation due to the pious ones that live amongst its people: these pious ones invite others to worship Allah, they enjoin the good and forbid the evil. Some scientists have suggested that global warming is making matters worse – they suggest that dry regions of the world are getting dryer and wet regions are getting wetter. That means things could get even worse for the poor and suffering millions in Africa and elsewhere. However, Muslims are careful in suggesting that humans can reverse climate change by tinkering with carbon emissions and world energy consumption. From an Islamic perspective, it is Allah who controls the climates of the world. Quranic and Hadeeth literature show that the fertility of lands, the sending down of rain, the growth of fruits and crops are all from the bounties of Allah, controlled by Him. Allah has subjugated aspects of the creation to mankind so they can take benefit from it through irrigation, cultivation, farming, herding of cattle, and so on. There are some countries in Central and East Africa such as Somalia, Chad and Mali where rainfall is very scarce at times when it is most needed. These are lands which Allah has created hot, arid and dry. As a result, 92% of the African continent has insufficient rainfall to assist farmers. Summers are very hot, baking the dry arid land and making it impossible to plant, water and grow crops. More importantly, there is not enough drinking water for people. Because these countries are poor, they do not have the facilities to collect and store water that falls during the rainy season. So unless rich countries give them aid, or these countries become self-sufficient, the hot extreme climate will mean that these people will not be able to cope – and their affair is left with Allah, the Almighty. These countries could introduce (if they were able) more efficient irrigation systems to ensure water is not wasted and facilities to store water in the rainy season. In 2006, over 25 million people in sub-Saharan Africa faced a food crisis and the figure is rising each year. Muslims all over the world are encouraged through the Quranic texts to help those less fortunate than themselves. According to scientists, another cause of poverty is population growth in countries that cannot afford to feed the extra mouths. Most rich countries have a stable population with roughly as much babies born as people dying. However, in poor countries, the populations seem to be increasing. Muslims, as rule, are not allowed to use contraception due to fear of not being able to provide for their children – they learn from the Quran that Allah will enrich them from Himself from ways and means that He provides. Population control measures are not from the Islamically legislated means to remove poverty – this is proven by the fact that there is sufficient food and resources in the world to feed the poor many times over daily! Added to that is the reality that large populations are a tremendous resource for a nation. Countries with large populations are quite often the wealthiest, and have the fastest growing economies. Note: In certain situations contraception is permitted and I have discussed that elsewhere. Hardship can strike any nation and the underlying causes must be considered. Muslims believe that everything occurs by the Decree of Allah. Islam teaches that poor people must be helped with education, skills, charity, better infrastructure and better health care. In this way the poor are not neglected and the wealth of the rich is purified in the sight of Allāh through the giving of charity. People have large families because the family unit helps each other and they care for their elders. Death of young children is much higher in poorer countries due to sicknesses and disease. So the Muslims have a duty to help the poor, even if they are non-Muslims. The Prophet (ﷺ) said: “Give charity to people of other Religions.” (Shaikh Al-Albānī said it was an authentic Hadīth, in As-Saheehah). The figures that relate to the rate of death in children is called the infant mortality rate. In Somalia, 192 children die out of a 1000 that are born. In Mali, 199 children die out of a 1000 that are born. In Britain, 6 children die out of a 1000 that are born. Aid is to help or assist people in need – a very important aspect of Islam. People usually do this by donating directly to poor people, or through Zakat to Muslim governements or to recognised charities. Sadaqah: is the Arabic/Islamic term for charity. Infant mortality rate: is the rate at which small children die. The way that countries buy and sell with each other does not always help people in poor countries. Producers of crops like wheat and rice will usually sell to the country that will pay them the most for it, so poor countries cannot compete and therefore cannot buy crops to feed their people. So these poor people have to grow their own crops to feed themselves. In many poor countries the rich farmers grow cash crops such as fruit and flowers that they sell to rich countries and their profit often does not help the poor people. So the Muslim is always encouraged to give aid to those less fortunate, so that no one in the land remains hungry, unclothed or unsheltered. Islam has no problem with people becoming wealthy so long as the poor not are neglected; they must be taken care of, helped, educated and empowered to look after themselves. Wealthier Muslims are obligated to give in charity (zakāt) every year, and each Ramadān (zakāt al-fitr). Sins and disobedience – the more sinful a people, they greater the likelihood of poverty and calamities. When people turn to Allah in obedience and worship, He grants them blessings and bounties. 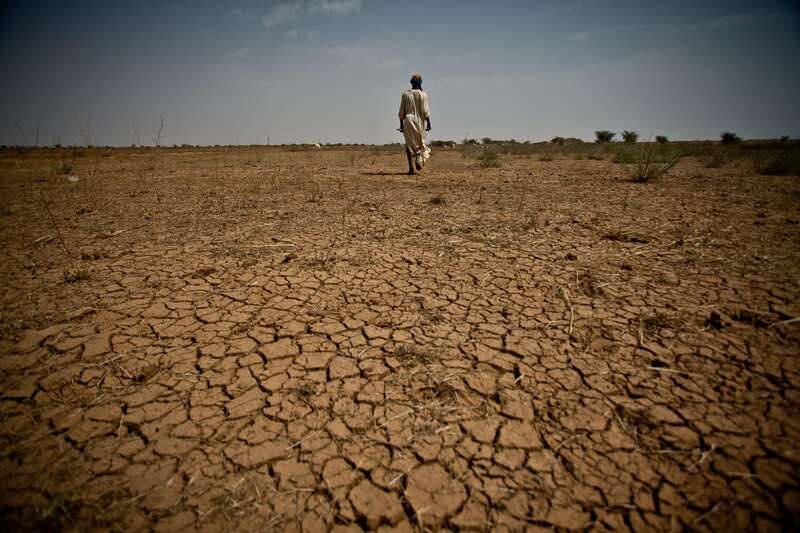 Climate: too hot, too dry, arid, etc. Unstable governments where wars, infighting, rebellion and corruption have led to poverty and fear. Location: lack of resources – Allah enriches certain nations more than others as a test of their piety and gratitude. This of course can be reversed at the Will of Allah – the Arabian Peninsula was seen as a poor region of the world until Allah blessed them with the discovery of oil under their deserts, whereupon they became the wealthiest of nations on earth. Economics: where most of the people are very poor and it takes a feat of collective effort to lift them out of poverty: A Muslim must not just watch and do nothing as others suffer. Population growth – this is not seen Islamically as a cause of poverty. Indeed, in most nations a large population is seen as an immense resource that can be mobilized to enrich a nation. The Quran states: “Allah does not change the good blessings that He bestows upon a people until they change what is within themselves.” So people continue to be granted bounties from Allah so long as they are righteous and striving to do good, and seeking His forgiveness. Put the five causes of poverty in order of importance giving reasons why. Which of the five are the easiest to do something about do you think? “Rich countries should give poor people food to help them.” Would that help? Is there anything more that can be done? Or should nothing be done? What’s the best way to help? Next time you visit a supermarket, spend a few minutes carefully looking at where the fruits and vegetables come from. Write a list. Try to look at items that are not in season, e.g. strawberries in winter. This article includes an Islaamic understanding of why poverty and other calamities occur and what is the Islaamic solution for this. A reminder for the believers to be grateful to Allaah for His bounties in times of ease..
Baarakallahu Feek. Very beneficial reading for our children and students. Do you have a tag or section on the website where there are other worksheets for students?